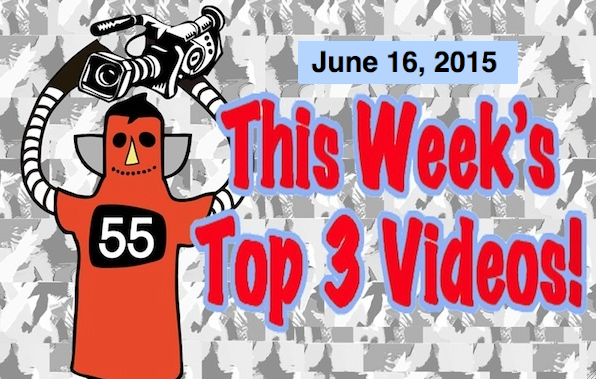 Top 3 Videos for June 16, 2015! Top 3 Indies Artist’s Videos! Dog Party, Ex Hex, Taffy and the History of Apple Pie! One day late and far more than several hundred dollars short, it’s time for this week’s Top 3 Videos. The Top 3 Indies Artist’s videos for the week of June 16, 2015. And once again, it’s Ladies Nite! The ladies will do the rockin’. Everyone gets in free! Next up is a 3 girl band from Washington D.C. that also has been getting heavy airplay on my radio show: Ex Hex! And at this week’s #1 is a band that needs no introduction to our countdown. They just finished a tour of the UK and the USA and we’re featured on our Ninja Slayer from Animation set program, “the TV Show” (ザ・TVショウ） that I create, write and produce along with my crazy friends Ken Nishikawa and Motoyoshi Tai for Niconico Douga. Taffy are happening! Need more proof? This is from their new CD “Darkle” and this track is remixed by Brian Jonestown Massacre! Way cool! Today’s freebie is, yes, yet again another band that’s been getting regular spins on What the Funday. It’s History of Apple Pie! The History of Apple Pie are an English rock band from London. They released their debut album Out of View on 28 January 2013, which went in at number 8 in the UK Indie Breakers Chart, and number 2 in the UK Record Store Chart. Hope you enjoyed today’s videos! See you next time!